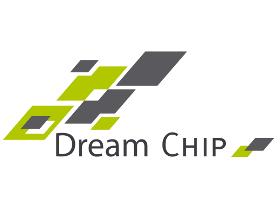 Welcome to Dream Chip Technologies! 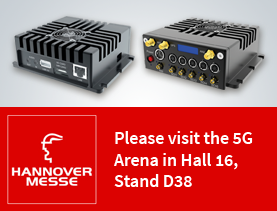 In the 5G Arena at the Industrial Fair in Hannover (April 1st - 5th, 2019) the Götting KG demonstrates a remote controlled AGV (Automated Guided Vehicle) which is equipped with the Barracuda video transmission system from Dream Chip Technologies (DCT). 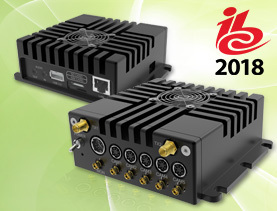 Dream Chip Technologies GmbH (DCT) announced today that the company’s Barracuda Video/Audio IP-Streaming Platform has been nominated for Best New Streaming B to B Technology in the 2019 NAB Show Product of the Year Awards. 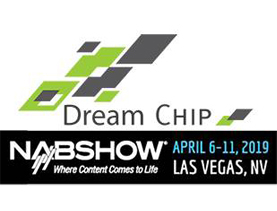 Dream Chip Technologies (DCT) invites you to NAB in Las Vegas from 6th-11th of April to central hall booth C11250! 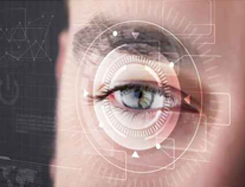 Dream Chip will exhibit their latest camera development, the ATOM one mini IP67, a waterproof model for all kind of outdoor sports and productions. 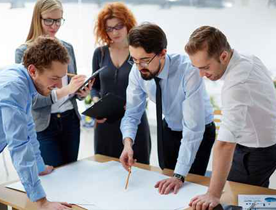 Stephane Ducobu brings ten years of sales and marketing expertise in the broadcast industry to Dream Chip Technologies. 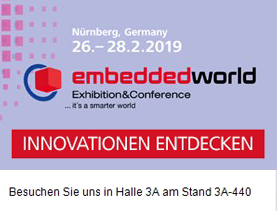 Dream Chip Technologies (DCT) will exhibit at the Embedded World 2019 show in Nürnberg, Germany from February 26th to 28th! Please visit our booth Hall 3A-440! 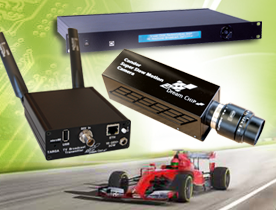 The Dream Chip engineering team has finalized several brand new developments which will be demonstrated at our booth in Nürnberg. 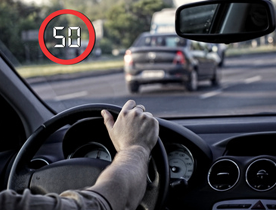 Es ist wieder soweit, die Vision öffnet vom 5.-8. November Ihre Pforten und Dream Chip ist wieder an gewohnter Stelle Halle 1 I67 zu finden. Barracuda Premiere at IBC 2018 Dream Chip Technologies GmbH is excited to invite you to the IBC in Amsterdam from the 14.09. till 18.09.2018 at booth 11.A07. 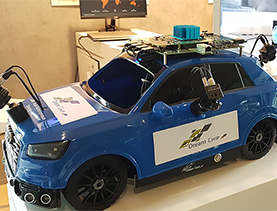 This week a Top-View Demo based on Dream Chip's 22nm Automotive ADAS SoC and 4 Dream Chip Atom Mini Cameras is shown at the CDNLive EMEA 2018 (hosted by Cadence) in Munich.